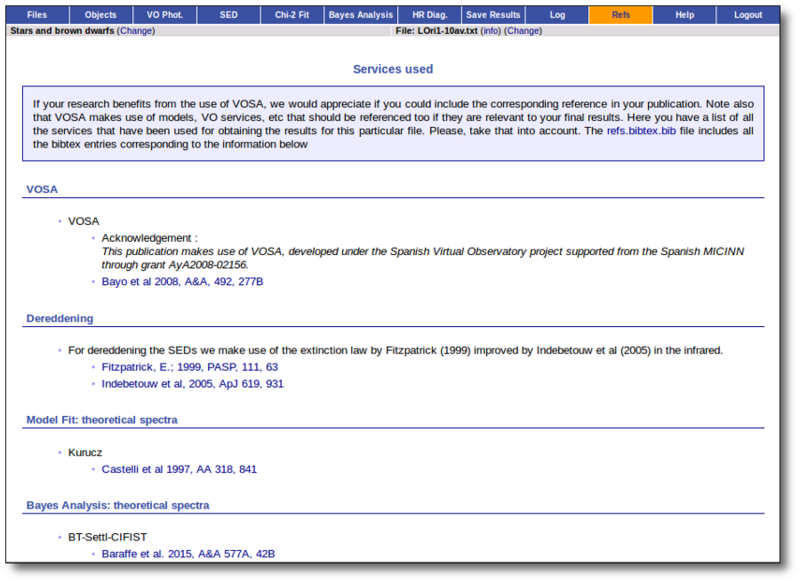 VOSA uses external services, theoretical models and science inputs from different sources that you might want to cite or acknowledge if your research benefits from the work done by VOSA. You can check the Credits section section to see a full list of all the credits. 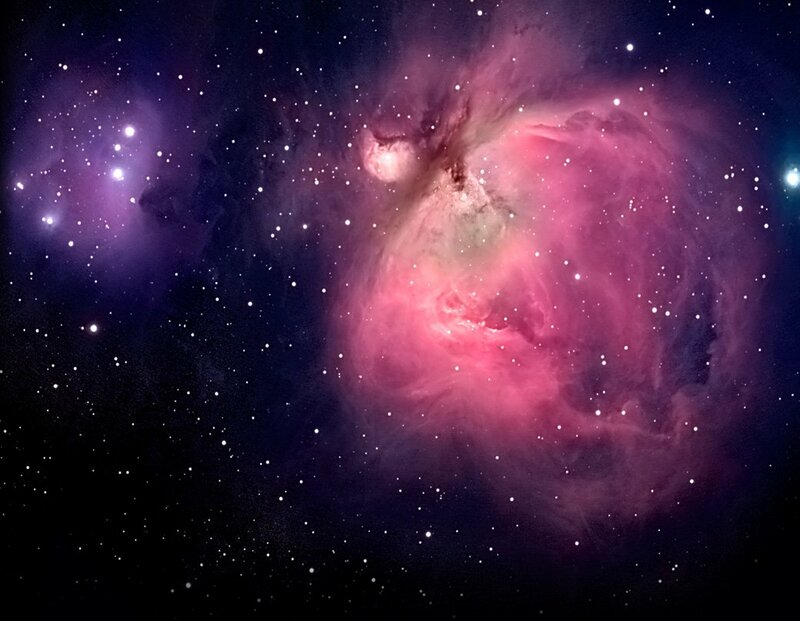 But, depending on the work that you have done with your user file, you will probably have used only some of those services. info/refs.dat with a text description of all the references of the services that you have effectively used so far to get the already obtained results. 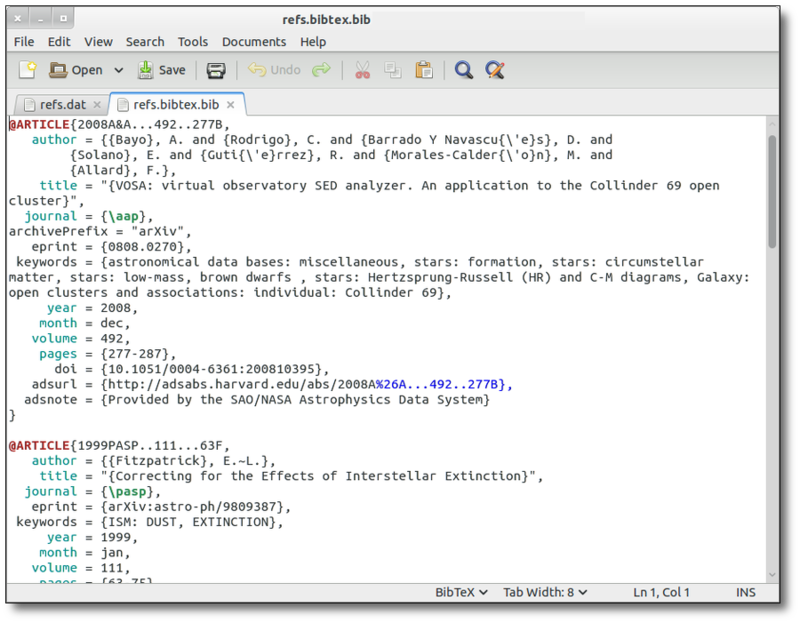 info/refs.bibtex.bib with the bibtex entries corresponding to those references. 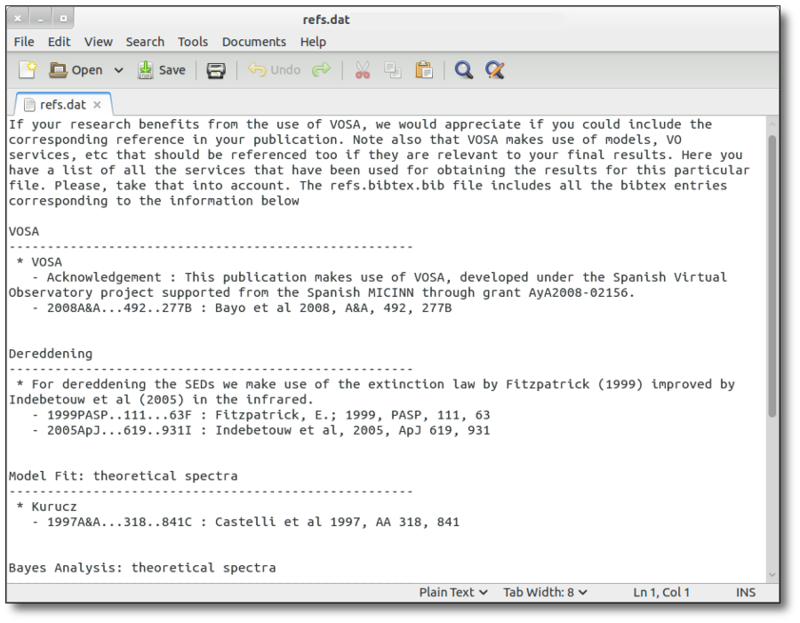 At any moment, you can check the 'Refs' tab to see a web version of the references file.